MIDLAND, Texas — The price of a barrel of U.S. crude oil has plummeted by more than 50 percent since June 2014. U.S. producers claim that they’re at a competitive disadvantage because they’re restricted to selling their oil domestically at a time when they desperately need new markets to sell their mounting inventories. “Right now because we don’t export crude oil, there is what some view as a disproportionate amount of profits going to refiners,” said energy economist Carey King, of the University of Texas at Austin’s Energy Institute. “Because they can take in cheaper crude oil in the U.S. and export refined products at a global price for gasoline and diesel,” he said. 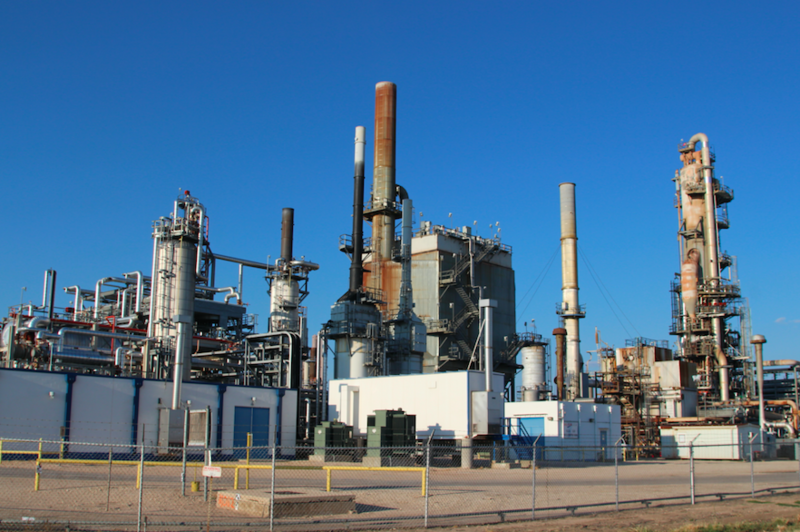 “Refining is critical to American energy independence,” said CRUDE’s spokesman Jay Hauck. “Without domestic refining, you are relying on foreign countries to turn crude oil into all the different products that are derived from crude oil,” he said, as he listed jet fuel, heating oil and gasoline. “Big Oil is opening their wallet, lobbying Congress to let them ship American crude oil overseas which could cost U.S. jobs, raise gas prices and make us more dependent on Middle Eastern oil,” the ad copy reads. With respect to gas prices, the U.S. government’s own energy data collection agency, the independent Energy Information Administration (EIA), says gas prices would be unchanged or lowered if the export ban ended. Kirk Edwards is an oil producer in the Permian Basin of Texas and New Mexico. He’s the CEO of Latigo Petroleum based in Odessa, Texas. Latigo also operates in Arkansas and New Mexico. “If this were five years ago the only states that would benefit from such a reversal of an old law would be your typical Texas, Louisiana, Oklahoma,” said oil and gas analyst Jim Wicklund at Credit Suisse in Dallas. “Ohio, Pennsylvania, West Virginia, North and South Dakota and Wyoming and Colorado, these states where oil production is increasing the fastest, well if the oil price were to rebound and eventually it will, and we still can’t export oil, those states will begin to lose jobs and give the growth to other places outside the U.S.,” Wicklund said. This entry was posted in fronteras npr stations, inside energy and tagged crude oil, crude oil export ban, CRUDE refinery lobby, jay hauck, kirk edwards, midland, odessa, permian basin, steve pruett. Bookmark the permalink.